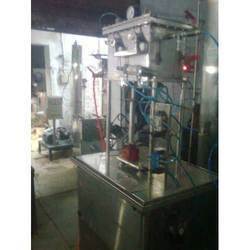 We are engaged in offering quality grade Counter Pressure Filling Machine. Two head counter pressure filler pneumatically driven widely used for pet bottle filling for soda, soft drinks or other beverages. low maintenance gives better quality. 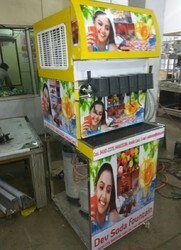 Owing to our rich industry experience and knowledge, we are engaged in offering a wide range of Soda Fountain Machine. For the manufacturing of this machine in obedience with set industry quality standards, we use the premium quality raw material and high-tech technology. 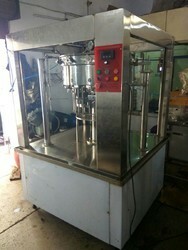 Available in different technical specifications as per the necessities of clients, this machine is also tested on various quality parameters to avoid any kind of manufacturing defect before deliver to the clients end. Looking for Soda Machines ?